With Dublin hosting its first-ever traditional downtown Christmas market as well as two-day-long New Year’s celebrations, there seems no better time than now to enjoy Ireland’s cosmopolitan capital city. Here’s a low-down on the upcoming seasonal celebrations, as well as choice places to stay, to eat and to enjoy exciting live performances. With more than 60 stands in wooden chalets around downtown St Stephen’s Green Park, between Grafton Street and Merrion Row, this lively seasonal market offers a diverse selection of Irish-made gift items, including accessories, woodcrafts, jams and preserves and prints as well as seasonal food and drinks including charcoal grills, crepes, bratwurst, chocolate, artisan popcorn and gluhwein. End-of-year celebrations will be ushered in with a special ‘People’s Procession of Light’ winding its way through city center streets hours before midnight. In addition, a ‘Countdown Concert’ gets underway in College Green with headline performers including Kodaline, James Vincent McMorrow, Walking on Cars and The Whereabouts. New Year’s evening will also feature dramatic 3D projections in Trinity College – the alma mater of such literary luminaries as James Joyce and Samuel Beckett. A spectacular fireworks display will take place in Saint Stephen’s Green. Celebrations continue on New Year’s Day with the ‘Big Brunch’ at Meeting House Square in the downtown Temple Bar area, a free, family friendly event with live music, dancing and various performers. With seasonal celebrations going on citywide, Dublin offers a wide variety of luxury accommodation to choose from. Opened in 1824 and known as the ‘grand dame’ of Irish hotels, The Shelbourne has its own private museum, right opposite the reception desk. It underwent major renovation seven years ago and now reflects a blend of Georgian and contemporary design. Located on elegant Saint Stephen’s Green near Grafton Street, the city’s main pedestrian shopping area, its splendid lobby of gilded mirrors, shimmering chandeliers and ornate marble balustrades emanate sheer class. No surprise it has hosted such celebrities as Grace Kelly, Charlie Chaplin, Richard Burton and former US presidents, J.F. Kennedy and Bill Clinton. Its main restaurant, the Saddle Room, focuses on seafood and steaks, with menu items ranging from fresh oysters to 45-day aged cote de boeuf. Located in the leafy Ballsbridge area of prestigious Dublin 4, the Four Seasons hotel lies close to the Royal Dublin Society, a major events center; Herbert Park and Aviva Stadium, home to the national football and rugby teams. A spacious carpeted lobby leads to a lounge featuring floor-to-ceiling windows looking out to a garden decorated with wooden seats and a simple fountain. A contemporary restaurant stands to one side and an intimate bar with comfy leather armchairs to the other. Its menu is international, with dishes such as ‘from head to tail Hereford beef slow cooked tongue, tripe and tail’ and ‘balsamic roasted octopus, compressed melon and rhubarb jus.’ A spa is located in the basement with a 12-meter pool and an outdoor terrace, a Jacuzzi and separate male and female saunas and steam-rooms. Conrad Dublin is located directly opposite the National Concert Hall, a five-minute walk from St. Stephen’s Green. Opened in 1989 this 7-floor, 191-room hotel boasts a contemporary design. A speckled marble lobby opens on to a comfortable informal bar and café area and the elegant ‘Alex Restaurant’ (the building was formerly a school named ‘Alexander’). In a modern setting with touches of art deco, one can enjoy a ‘surf and turf’ dinner such as Dublin prawns in a cheese and mustard seed sauce with steak and pepper sauce or delicious homemade granola mix for breakfast. The Conrad also boasts ‘Alfie Byrne’s,’ a bistro-style bar below the lobby named after a man elected Lord Mayor of Dublin 10 times. Managed by Galway Brewery, it displays an impressive 27 draught craft beers, including cask varieties. Dublin is awash in fine-dining choices and the cosmopolitan nature of the city is reflected in the different nationalities of hosts as well as varied international dishes. Named after its street number on prestigious St. Stephen’s Green, Restaurant Forty One is a plush two-story restaurant with creative dishes to match its splendid 19th century interior. Furnishings include Impressionist paintings, satin curtains, Queen Anne and cane chairs and bronze sculptures. On the upper floor, through ivy-decked windows, are delightful views over the green and the lights of the Christmas market. Highlights of a succulent menu prepared by head chef Graham Neville are breast of duck roasted with honey and black pepper, preserved fruits and fondant potato with wild currants and roast noisette of Wicklow venison with crushed artichoke and chestnut cep sauce. Located at the end of a narrow laneway in Donnybrook, Dublin 4, Mulberry Gardens prides itself on Irish produce including rapeseed from Donegal, honey from Skerries served in an earthenware pot and eight different cheeses from places such as Waterford, Wexford and Cork. Out front is an open terrace where a mulberry tree grows and a blazing wood fire emphasizes a thoroughly cozy atmosphere. Inside, an intricate net woven around the walls hints at silk making and the restaurant’s name. Humorous anecdotes enliven the property, ‘Be yourself as everyone else is taken’ being one example. Dishes, some presented on Mulberry wood plaques, include starters such as caramelized cauliflower, capers, raisins, vanilla brown butter, shaved cauliflower, herb oil and cauliflower foam and a main dish comprising fish and chicken flavors – roast cod, braised celery, scallop, fennel, crisp chicken skin, onion, fennel cream, truffle oil and chicken jus. Aptly named being located in the basement of the Dublin Writers Museum, Chapter One emanates an elegant, contemporary atmosphere, with host and owner, Corbett Martin greeting guests cheerily. Creative cuisine touches are dehydrated reindeer moss with pigeon terrine, smoked quince and mustard cream, slow roast shallot and aged pickled damsons and daikon with caper sprouts in a zesty dish of marinated violet artichokes, feta cheese mousse, pickled winter vegetables, buttermilk, walnut tuile and coriander oil. As a UNESCO City of Literature, a stay in Dublin is not complete without seeing live performances, with theaters, both Victorian and modern venues, to choose from. Established by renowned national poet, W.B. Yeats, and friends in the early 20th century and located close to Dublin’s main artery, O’Connell Street, The Abbey has played a pivotal role in Irish theater over the last 100 years. Productions range from Irish classics such as ‘Sive’ by John B. Keane to ‘She Stoops To Conquer,’ Oliver Goldsmith’s comedy of deception and seduction, which will be hosted over the next two months. 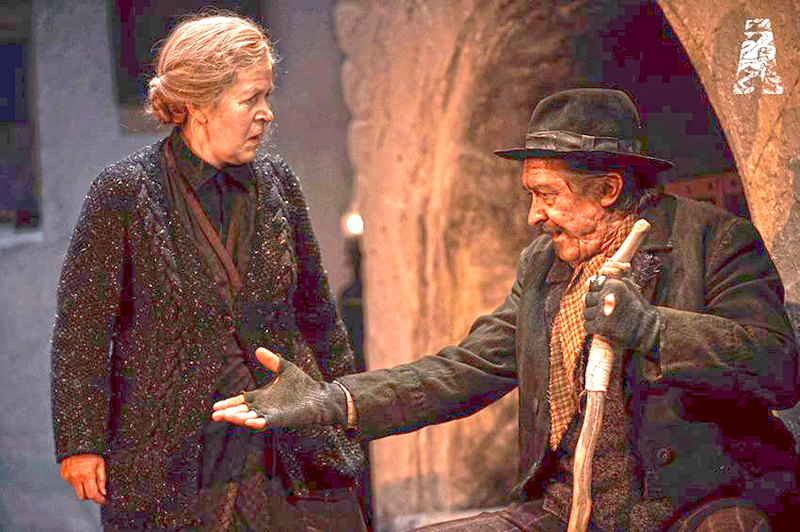 Offering a more intimate atmosphere, The Peacock, a second theatre in the same building, is the more experimental partner of the Abbey, with productions such as ‘Follow,’ which explores stories from the Irish deaf community. A two-minute walk from the Dublin Writer’s Museum, the Gate Theater began life in 1928 by introduction audiences to the world of European and American theatre with Orson Welles and James Mason among actors who started their careers here. A production of ‘Wuthering Heights’ uses multimedia to create the haunting atmosphere of Emily Bronte’s classic novel. 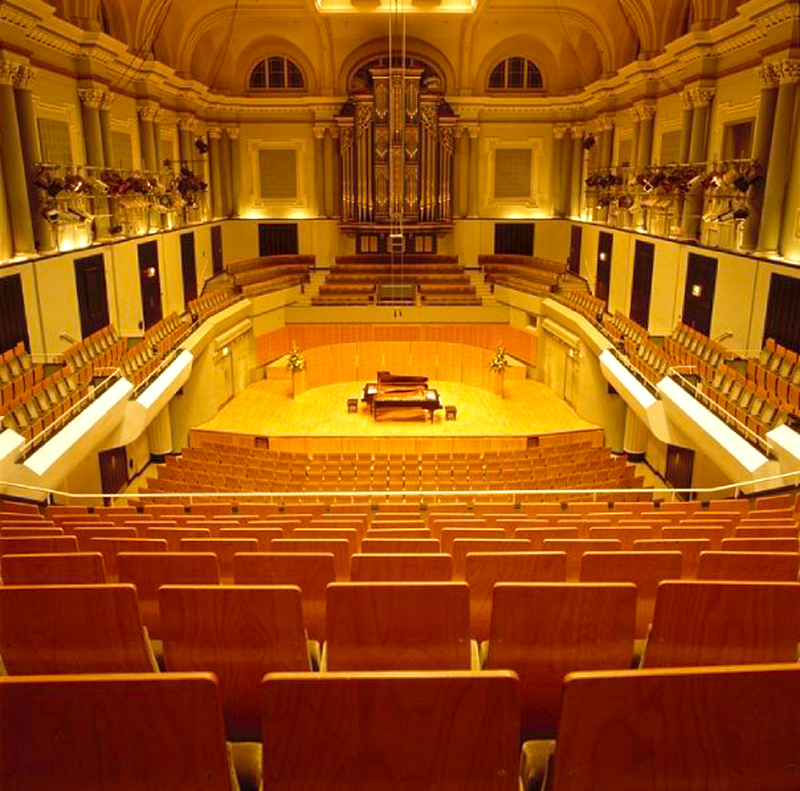 An impressive building featuring a glimmering crystal chandelier in the lobby, the National Concert Hall is a downtown venue that hosts diverse musical events including classical, opera, ballet, choir and jazz. It recently staged the musical ‘The King and I’ by local Dublin musical societies. Among upcoming season’s offerings is a Christmas concert featuring ‘The Snowman,’ Raymond Briggs’s captivating film, with a score by the National Concert Hall Orchestra. With museums and theaters aplenty as well as excellent restaurants and hotel accommodation, Dublin offers a menu that should satisfy most seasoned travellers’ demands. Posted in DestinationsTagged Abbey, Abbey Theater, accommodation, afternoon tea, Alexander restaurant, Alfie Byrne, Aviva Stadium, Ballsbridge, beer, Bill Clinton, books, Bord Gais Energy Theater, Bram Stoker, Chapter One, Charlie Chaplin, Christmas, city destination, Conrad hotel, Corbett Martin, Donegal, Dublin, Dublin Writers Museum, fish, Forty One restaurant, Four Seasons, Galway Brewery, Gate, Georgian, Grace kelly, Grafton street, Graham Neville, Herbert park, Hilton, holiday, hotels, Ireland, Irish, James Vincent McMorrow, Kennedy, Kodaline, Lord mayor of Dublin, luxury, market, Merrion road, Mulberry Gardens, museum, National Concert Hall, New Year, Peacock, restaurant, royal Dublin society, Saddle Room, Samuel Beckett, seafood, spa, St Stephen's Green, steak, Temple Bar, The Shelbourne, The Whreabouts, theater, Trinity College, Walking on Cars, WicklowBookmark the permalink.